The Suspended TRIcon, only better. Now with a 26in rear wheel for an even smoother ride and faster riding. 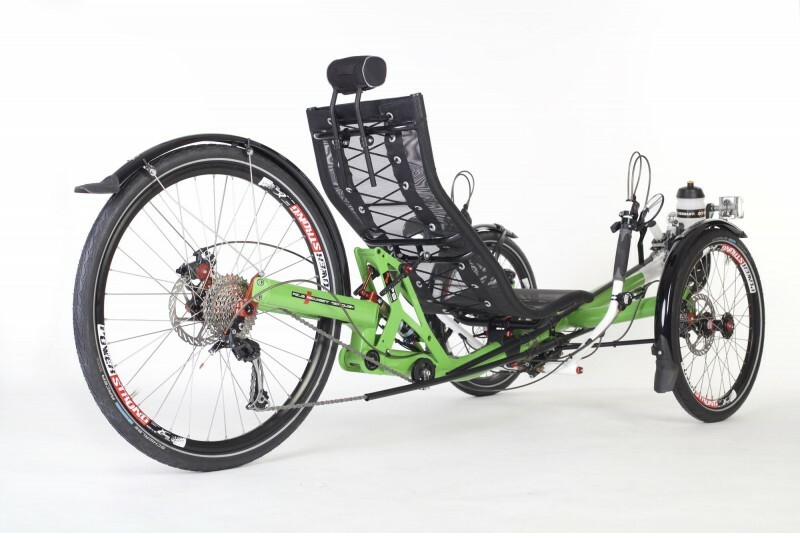 The TRIcon 26 is based on the well-known TRIcon 20 recumbent trike which Azub has been producing since 2010. 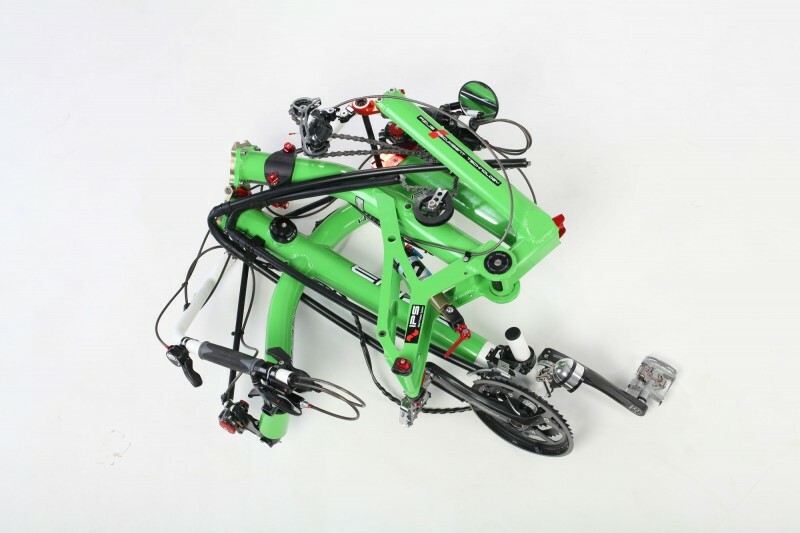 The 26in rear wheel gives the trike great comfort, bigger ground clearance of the rear derailleur and slightly lower rolling resistance. Some riders also like the look of the trike more. On the other hand, it also can put more stress on the rear wheel and on the complete frame and rear fork. Way too often the trikes with 26in rear wheel are too soft and especially cornering in higher speeds feels a bit strange. That was the reason why Azub came up with a new solution to decrease the disadvantage to absolute minimum and greatly improve the stiffness of the whole trike. The main improvement is our folding hinge which is very precisely machined and which work so good the frame works like made out of once piece of main tube. The second improvement is wider rear fork with exchangeable dropouts. All trikes with standard triple crankset and cassette in the rear are supplied with solid Syntace X-12 axle with 157 mm wide hubs which make the whole rear wheel much stiffer and so bring better riding properties. Other gearing like Dual Drive, Alfine, Rohloff or electric motors can be assembled as well with dropouts for standard 135 mm hub width. The rear suspension was redesigned as well so it is not just the TRIcon 20 with longer rear fork, but a completely new trike. Of course, we chose a proper shock absorber again. You can choose either the basic version of spring / oil, or use one of the top shock absorbers, oil / air combination. Selecting the correct shock absorber and its settings will provide you not only with pleasant comfort, but also very efficient transfer of power. Therefore the pulley position is also very important. We spent a long time "playing� with this and the result is more than satisfying. We managed to reduce the so-called pogo-effect (lateral swinging of a recumbent bike when pedaling rhythmically or using a force) to an absolute minimum. Excellent drivability plays a major role in the development. Not only front wheel geometry and control, but also the toughness of the rear fork is important. As same as when developing the 20" version the toughness of the rear fork was vital for us and we went the same way as before and even improved some technical details. To get a really tough fork, one must achieve its shortest possible length, which we achieved by using a massive and very lightweight supporting element. 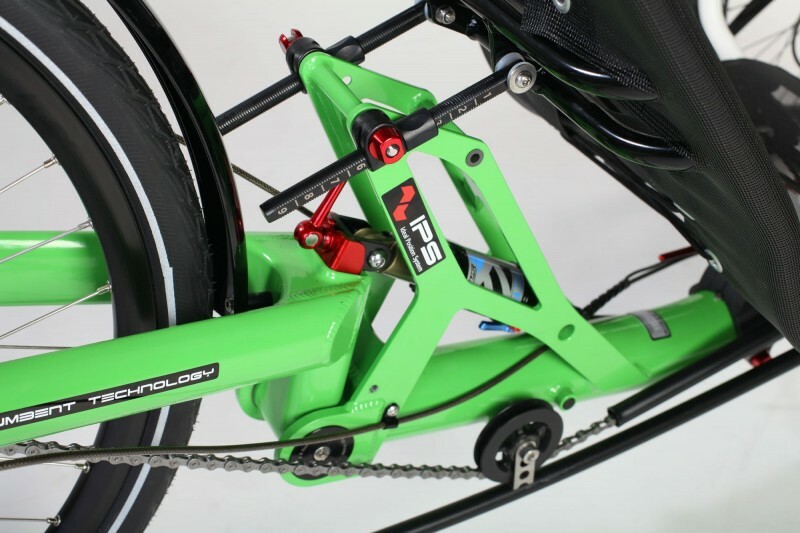 It bears the frame mounting to fork, extending to powerful rear stays of the fork. The overall toughness is then supported by the axis of the fork used that is large in diameter and also the position of the shock absorber together with the frame structure in the rear. Another element that contributes to the exceptional drivability are the Remerx double wall rims that not only look absolutely great, but also have unique toughness and strength. This ensures the stability especially in fast rides through sharp curves.